A property transaction through Power of Attorney executed by NRI calls for extra checks/scrutiny. A sale deed can be declared NULL and VOID because of a small mistake or error in the execution of Power of Attorney by NRI. Sometimes these errors/mistakes are intentional and most of the times unintentional. In recent past, i came across multiple cases wherein a property transaction was challenged based on error/mistake in the execution of Power of Attorney (POA) by NRI. In many cases, the status of NRI is being concealed by his lawyer/CA in POA to avoid TDS. An NRI executing POA in India cannot declare his/her status as Resident Indian. As i keep highlighting that a buyer or seller in India should mention the status of another party in sale deed to avoid any future tax disputes. A case of the false declaration in sale deed may not put the onus of concealment of facts on the resident Indian in the property transaction. My general observation is that Resident Indian’s are not aware of do’s and don’t of Power of Attorney executed by NRI. Even professional help does not help in most of the cases due to lack of knowledge. A Power of Attorney is issued by NRI if he/she cannot be physically present in India for the execution of property transaction. As a buyer or seller, you should insist on the physical presence of NRI Buyer/Seller in India for sale deed. It will avoid a lot of future hassles. The risk is HIGH if the buyer is Resident Indian, and Seller is NRI, who is represented by Power of Attorney holder. In this post, we will discuss this particular scenario for simplicity purpose. Though it is equally important if a seller is Resident Indian, and Power of Attorney holder represents the NRI Buyer. Reason being, it is important to trace money trail from NRI buyer i.e. whether money is being properly channeled for the property transaction. Let’s check important points or Do’s and Dont’s by Resident Indian Buyer if the transaction is through Power of Attorney by NRI. As i mentioned and being candid about my opinion. A resident Indian buyer should AVOID property transaction through Power of Attorney holder of an NRI. The best case scenario is the presence of an NRI seller in India for execution of sale deed. Sometimes the circumstances do not permit so a buyer you should check the reason for the execution of Power of Attorney. The reason should be reasonable and logical. If the buyer is convinced with the reasoning, then he should insist that NRI Seller should include this particular reason, in Power of Attorney. In short, the purpose/reason for the execution of a power of attorney should be clearly mentioned in the Power of Attorney. The most critical step is to check whether the Power of Attorney is executed as per the laid down process. It’s a 2 step process i.e. attestation of POA at Indian Consulate/Embassy and the registration of same in India. Attestation of POA is required even if the seller is not an NRI i.e. not completed 180 days outside India. On the other hand, if NRI executes POA on Indian Soil then attestation is not required. In short, a POA executed on foreign soil irrespective of the status of a seller require attestation at Indian Consulate/Embassy. The registration process in India follows it. Let me highlight steps/checks for a buyer. Step1: NRI seller creates two copies of Power of Attorney with detailed terms and conditions. As a buyer, you should go through each and every clause carefully to understand the content. Step 2: Check whether the POA is signed by two witnesses present in the country of residence of a seller. Step 3: Check whether the witnesses were physically present in Indian Consulate/Embassy at the time of signature or not. If they were not physically present, then their signatures should be attested by the Local Notary. Step 4: The POA should be attested by the Indian Consulate/Embassy. Step 5: The Attested POA should be registered in the India by the resident Indian i.e. POA holder. The registration process in India should be completed within three months from the date of execution of POA. The POA can be registered in SDM (Sub Divisional Magistrate) office or Sub-Registrar Office. The rule may vary from state to state. The relation between the NRI and POA holder should be mentioned in the POA. Preferably the details of ID proof of a POA holder issued by Indian Govt should be specified in the POA. 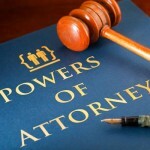 The buyer retains the original copy of Power of Attorney for future reference. Also, note that in some cases POA holder simply notarize the POA in India instead of registering it in SDM or Sub-registrar office. A “Notarized POA” is not the same as “Registered POA”. A notarized POA is legally not valid in India. A POA executed by NRI on foreign soil should be registered in SDM or Sub-Registrar office. In a recent case, i observed that buyer was cheated by Power of Attorney holder of an NRI Seller. It’s a misconception that payment towards property transaction should be transferred to POA holder. Please understand that Power of Attorney holder is only a representative of an NRI seller. The resident Indian buyer should make payment only to the NRI seller in his her NRE/NRO account. An NRI seller can authorize POA holder to accept payment on his behalf but cannot authorize payment to POA holder. Even if NRI seller authorizes POA holder to receive direct payment, the buyer should avoid such property transactions. It may land a buyer in tax trouble. In the case of multiple NRI sellers, the payment should be transferred in the proportion of ownership in the property to each seller. In another case, one of my clients was cheated by NRI Seller. NRI couple jointly held the property. There was a dispute between husband and wife & my client was not aware of same. NRI husband insisted on transferring 100% consideration value in his account. After the deal had been done, the wife of a seller filed a case of cheating and fraud by his husband. Therefore, all the payment should be made in the proportion of ownership in the property. Each of the sellers should execute separate Power of Attorney. In one of the case, my client received notice for not deducting TDS u/s 195. In my post, How to deduct TDS on NRI u/s 195? i explained this in detail. In this case, the transaction was completed by POA holder. The POA holder told my client that as she (POA holder) is resident Indian therefore relevant TDS will be 1% u/s 194IA. Again i would like to clarify that POA holder is only a representative of NRI Seller. The TDS will be deducted u/s 195 in the case of NRI seller. The only exception is if NRI seller produces NIL or Lower Tax deduction certificate that i explained in my post How NRI’s can lower TDS on property sale?. Lastly, each property transaction is unique with multiple permutations and combinations. Therefore, a buyer can safeguard his/her financial interests by including a blanket indemnity clause in the sale deed. To avoid being caught on the wrong side also ensure that sale deed clauses are in concurrence with the terms and conditions of the POA. It will eliminate any possibility of legal/tax hassles. Concluding Remarks: If you are buying/selling property from NRI then it is advisable to seek professional help to avoid any unpleasant surprises in future. The rules and regulations governing such transactions are bit complicated, especially on the taxation front. Always remember that Indian Law or Tax Authorities will not have any jurisdiction on the NRI residing abroad. On the other hand, a buyer who is resident Indian cannot escape the Indian Law/Tax Authorities. Moreover, the 100% onus of legal/tax compliance rests with the Resident Indian buyer.